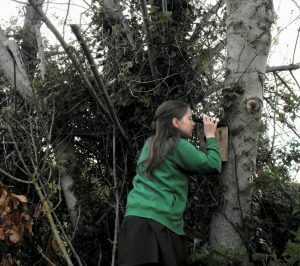 You are here: Home > Blog > Woodland Activities > How to get a Blue Peter green badge? Hi, I’m Imogen and I am a big nature and woodland fan. In this blog, I will be showing you how I got a Blue Peter green badge, and also how you can get one. In my point of view, us kids should be bonding with nature in the world around us. By having a go and applying for a Green Badge * encourages us to be outside. Furthermore, it helps us learn that nature is not just something beautiful but also shows how birds live, flowers grow and much more about bugs, trees that we didn’t even know about. 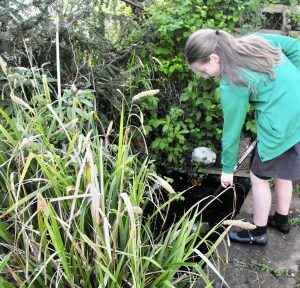 By having a Green Badge, you can show everyone how much you care about nature and you could persuade others to try. Just helping nature to grow stronger by providing more shelter for animals and bugs is giving us beauty in our woodlands and gardens. I personally really enjoyed helping because it gave me the opportunity to be with nature. I did this by creating and putting up a bird box to help shelter the birds and provide them warmth in cold weather. I put some bird feed out to help the birds keep well fed and healthy over the winter. In a small wildlife pond that hosts frogs and newts among others, I cleared some weeds to allow light and oxygen to enter the pond. I then sent a letter and some photos of how I encouraged nature within a local woodland to tell Blue Peter how I respect and care for the birds in the trees and the creatures in our pond. 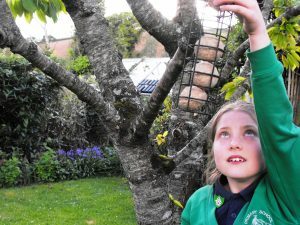 Now your children can get a green badge by being creative in your woodland or garden. Show how you have worked in your garden or woodland; also add some pictures. What you get if successful? 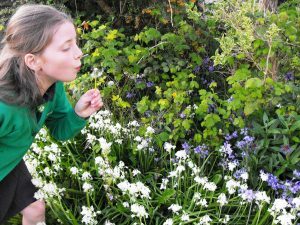 Written by Imogen : 10 years old, who loves nature and woodlands.